It is hoped that this UK-supported project will give future generations of African astronomers the chance to access and utilise an observatory in their own country, as well as to participate in knowledge exchange around the world. The initial phase of the project is funded by UK Research and Innovation through the Global Challenges Research Fund (GCRF), and is led by Dr. Martyn Wells from the UK Astronomy Technology Centre (UK ATC), which is part of the UK's Science and Technology Facilities Council (STFC). Speaking about the collaboration Dr. Wells said: "The UK team are very happy indeed on the success of the work to date on preparing a case for a definitive equatorial research observatory in Kenya. "I hope that the legacy of this work will lead to future generations of African astronomers having an opportunity to benefit from access to a Kenyan observatory and at astronomy sites around the world." At the same time a number of small teams are visiting potential sites in Kenya to make initial meteorological measurements as to their quality for astronomy. Weather stations will then be installed at these locations to measure the long term properties of the sites. Professor Paul Baki, Head of Physics and Space Science at the Technical University of Kenya, said of the project: "Kenya currently suffers a serious brain drain among graduates in science and technology. This is largely due to lack of facilities within the country for graduates with scientific talent to develop their skills for the benefit of the local economy. The few provinces in which scientific research of an international standard takes place are predictable for a developing country: medicine, veterinary science and agriculture. There are virtually no avenues for research into mathematics, physics or astronomy. This project helps to partly address that issue"
Kenya hosts some of the best sites for astronomical research on the African continent thanks to unusally low cloud coverage – but does not have its own observatory. 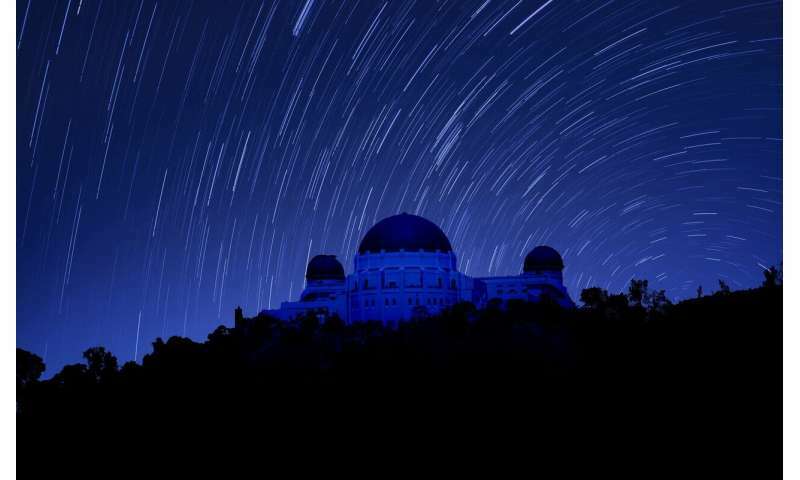 Thanks to its position on the equator, it gives access to more than 85% of the sky in both northern and southern celestial hemispheres – and there are also several mountain top sites within easy reach of existing roads that offer the prospect of good observing. "Since there exists no local tradition for optical astronomy in the country, the construction of an observatory in Kenya would need to be undertaken with the involvement both of foreign capital and expertise. An observatory in Kenya could thus meet the needs of international research institutions while enabling a local astronomical community to grow over a period of years. It would also act as a focus for Kenyan talent that would otherwise drift abroad," adds Dr. Wells.